Get ready for the Wingstop Flavor Invasion! 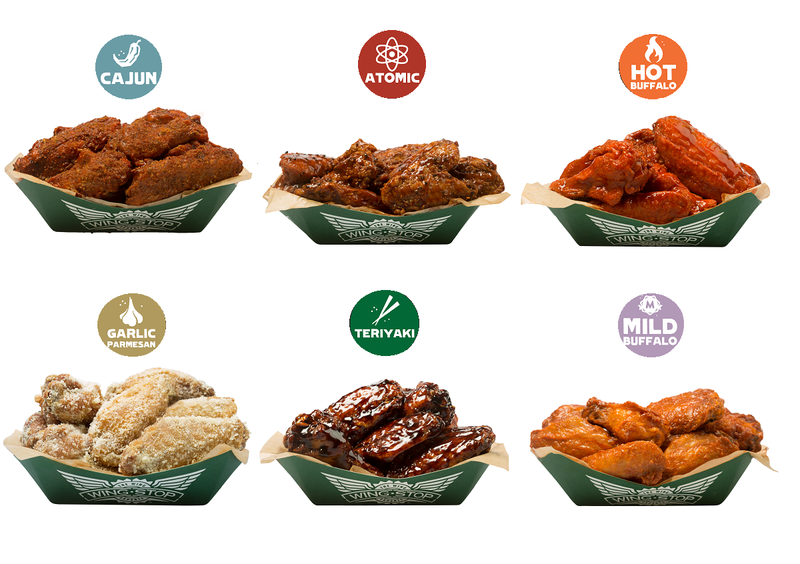 It is time to satisfy your flavor cravings, and entice your taste buds as Wingstop lets you experience all 14 of its mouth-watering flavors. 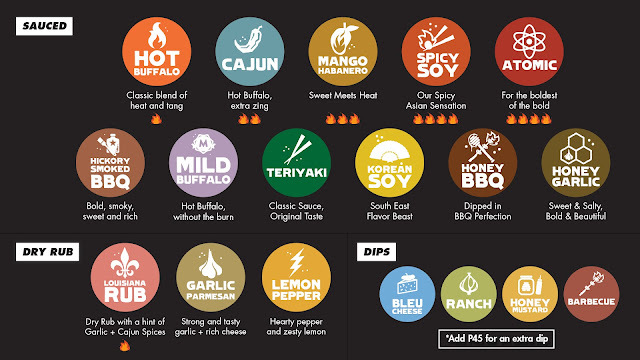 Choose from sauced or dry rub flavors, and complement your wings with a selection of Wingstop's dips. Whether you are team sweet or team spicy, team dry rub or team saucy, you are sure to satisfy your flavor cravings in every order of Wingstop wings. Spicy lovers can go for the classic Hot Buffalo, try the Cajun for an extra zing, or go for the boldest of bold with the Atomic. For non-spicy lovers, the tasty Garlic Parmesan and the sweet and savory Teriyaki are your best bets. To celebrate the Wingstop Flavor Invasion, Wingstop rewards their loyal customers and fans through the Wingstop Flavor Pass. Available from May 23 to August 31, 2016, the Flavor Pass is redeemable with any single receipt purchase at any Wingstop store. Collect stamps for every flavor that you try, and receive an instant P1,000 gift certificate for every Flavor Pass that you complete. But that’s not all, customers also get extra wings with every purchase of the Classic or Batter-Fried Wings. The flavors are arriving and they demand to be known, tasted, and experienced. Explore the endless possibilities of flavor and take part in the Wingstop Flavor Invasion now. Check out Wingstop Philippines on Facebook and FOLLOW @wingstopph on Instagram and Twitter, for more information.